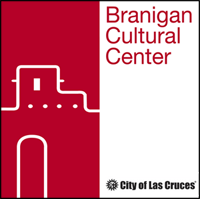 Elizabeth Zarur of the NMSU Art History Department will present opening remarks on Madonna International Print Exchange to kick off the First Friday Downtown Arts Ramble on May 2 at 4:30pm. In her lecture, Dr. Zarur will discuss the presence of the feminine in religious iconography of the Southwest. Major features of the cultural landscape of female saints include the role of the Virgin of Guadalupe in Mexican and Southwestern U.S. belief and a range of minor and major saints. Throughout the talk, Dr. Zarur will guide listeners through an understanding of the special import of motherhood, nurturing, and sainthood in religious art. Dr. Elizabeth Zarur is an associate professor of art at New Mexico State University with specialization in Latin American art and architecture. She holds a Master of Fine Arts and a Ph.D. in Art from the University of Georgia. Dr. Zarur has been the curator/co-curator of numerous international exhibitions over the last 15 years, including El Favor de los Santos: The Retablo Collection of New Mexico State University, Ora et Labora: A Arte Sacra no Século XXI (The Sacred Art in 21st century Brazil), Master Weavers of Peru: Wari/Inca Legacy, The Native Textiles of the Americas: Peru, Guatemala, Mexico and the United States and Seeking the Divine. Her book Art and Faith in Mexico: The Nineteenth-Century Retablo Tradition has been instrumental in focusing attention on the importance of the NMSU Art Gallery retablo collection. Dr. Zarur has presented her research nationally and internationally and has been the recipient of a number of national and international grants. Please join us at 4:30pm for the lecture, followed by the opening of Madonna International Print Exchange and Sabiduría Ancestral/Ancestral Wisdom by Corina Gabaldón during the 5-7pm Ramble.